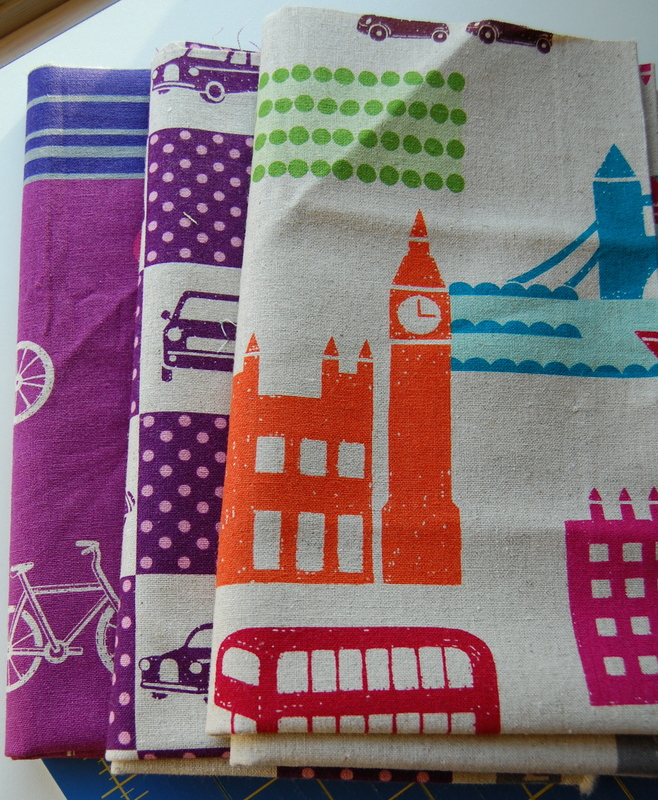 A New Fabric Store Discovery- sort of!!! 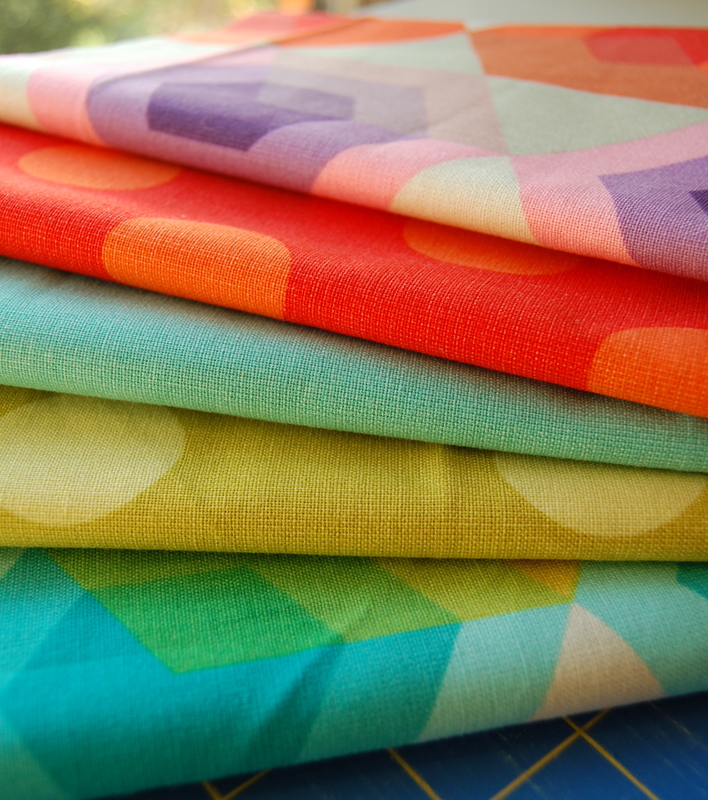 A couple of years ago I discovered this awesome little online Japanese Fabric Shop called SuperBuzzy! How delighted was I to learn that their warehouse was in my own backyard of Ventura? Well, VERY!!! I have since moved a bit further up the road but thankfully still only a 40 minute drive away. I recently placed another order with them and was so happy to discover that Kelly, the gracious and ever so knowledgable owner/operator/visionary and expert on all things Japanese, has a new storefront!! Open to the public!! that I bought online, but of course I couldn’t resist doing a bit of browsing. I’ve had a few special order requests for bags both big and small lately so I had some specific people in mind while shopping. It’s always helpful to have a focus! I fell in love with these retro looking clocks. The one on top is identical to the one my mom had on her bedside table for all the years I was growing up!! I’m so happy for Kelly and all the gals there. The store has only been open a month and they are transforming it into a lovely, modern space primed and ready to foster the modern quilting/sewing community. They have even just started their own Ventura Chapter of the Modern Quilt Guild!!!! So any “localish” readers who can’t make it to the Santa Barbara MQG Meetings, you have a new home in Ventura!! 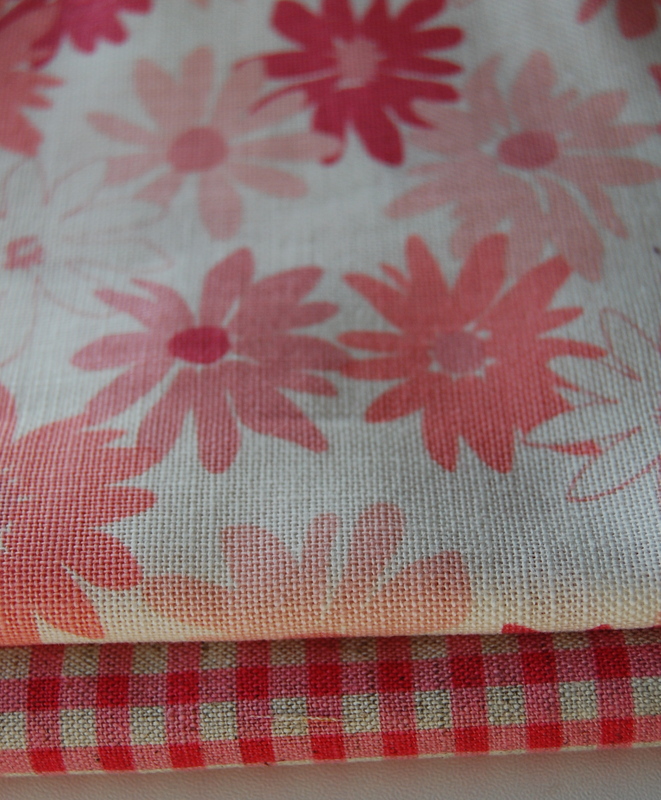 1. daisy chain by Prints charming- for my very all things modern loving friend, well, and myself!! 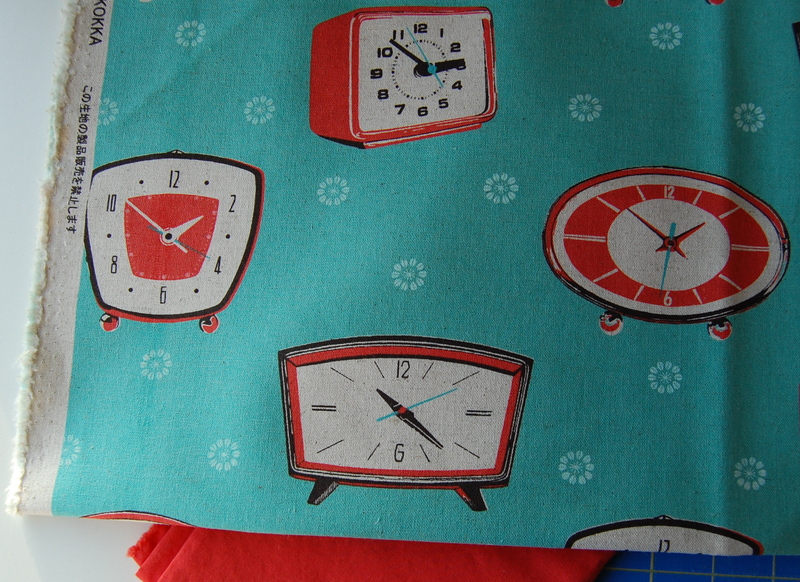 4. more Ruby Star Shining- because those clocks are just too freaking cute!! 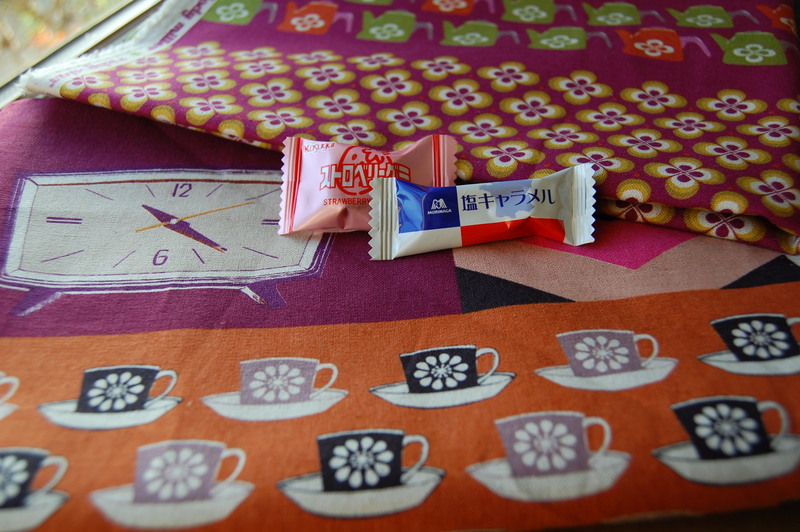 6.some really cute mystery Japanese fabric that I decided to throw in for fun. I love the vintage look of it. However, I’m thrilled to hear about this. 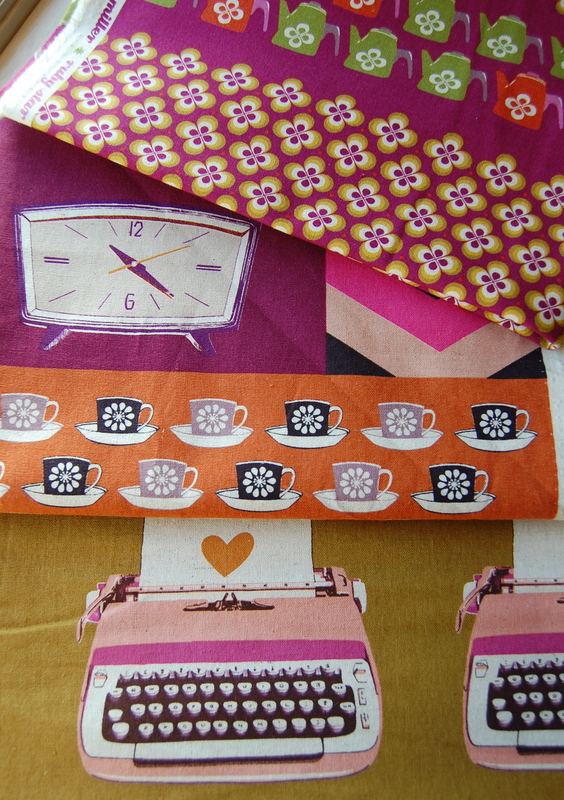 These retro and different patterns are great! What a fantastic find. I had to laugh about the clock on the bedside table. I recently saw some wristlets at a local hip integrative pharmacy and hands down, they did not compare to yours. Great work you are doing. You constantly amaze me. What great things are you going to cook up now??? Love the clock!!! i’m so jealous that superbuzzy is so close for you! have fun!